Nha Trang has been well known for its beautiful beaches as well as those entertaining places that are exactly suitable for a vacation to most of tourists when coming to visit Vietnam. People travel to Nha Trang partially to enjoy the bright sunlight on the chalk white sand and the cool fresh water of the beach. Moreover, they visit there because of those spiritual and ancient architecture that has appeal the heart of millions of people. Long Son Pagoda in Nha Trang, therefore, is obviously included in the list of those places that is worth traveling. 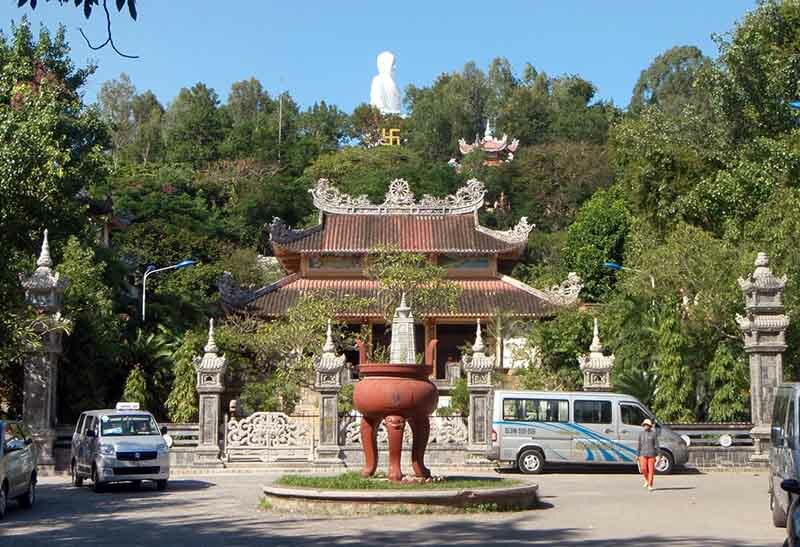 Right at the foot of Trai Thuy Hill, Long Son Pagoda is situated at No.20 23/10 street, Phuong Son ward, Nha Trang city. Panoramically, Long Son Pagoda retains a prime location and extremely convenient for tourists. The pagoda was built on an elevated and airy area with evergreen trees beside roads and crowded streets but has maintained its solemnness, stillness. The building blocks used as institutes, offices combining with massive temple form a complete structure hiding under amazing huge Bodhi trees and surrounding ornamental plants. Originally, Long Son Pagoda is called Dang Long Tu (Dang Long Pagoda). It was erected in 1886 in another place under the supervision of the abbot named Thich Ngo Chi (1856-1935) who came from Vinh Xuong, Khanh Hoa. In 1900, after a devastating cyclone, the temple was terribly damaged and had to be moved to the nowadays location. In 1936, Long Son Pagoda was renamed and became the headquarters of the Buddhist Association in Khanh Hoa Province. It was renovated and expanded again in 1940 before being destroyed during Vietnam War in 1968. After that, attempts have been made to rebuild the construction, but the temple has not been fully restored until recently. Being one of the most important religious building for pilgrims, Long Son Pagoda appeal tourists for the first time standing in front of its gorgeous structure. The entrance and roofs of Long Son pagoda are built from glass and ceramic tiles with detailed decoration. Classical motifs of dragons are used thorough the whole complex, especially in the main ceremonial hall. Beside the patios of the pagoda is nearly 200 stairs leading up Trai Thuy Mountain for pilgrims to go sightseeing and worship the sacred pagoda midst the bustling Nha Trang city. Setting foot on the 44th stair, tourists will have a chance to admire the gorgeous marble statues of Buddha into nirvana. Behind the statue is a large bas-relief depicting 49 disciples of Buddha. This beautiful statue has attracted a large number of people to worship daily. Keep walking up the stairs; tourists can admire a bell up to 5.5m high donated by Buddhists in Hue in 2002. The unique architectural works contributes to promote Long Son Pagoda to become one of the fascinating Nha Trang attractions. 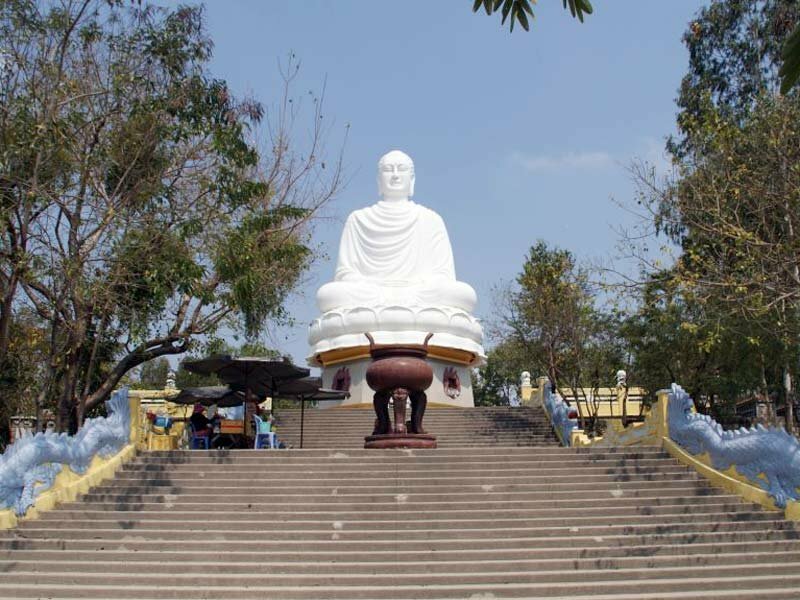 Another attractive thing is that setting foot on Trai Thuy hilltop after climbing 152 steps up from the entrance of Long Son Pagoda, tourists definitely feel serenity and peace when contemplating solemn Buddha statue appearing in the blue sky, white cloud and an immense space. The 21m high statue and 7m high lotus throne below were built in 1963 by the contributions of Buddhists in the region as well as the surrounding areas. The beautiful and solemn statue has beautified the noble and elegant beauty for the pagoda. From the pagoda overlooking the surrounding landscapes, tourists will take a panoramic view of beautiful Nha Trang city. 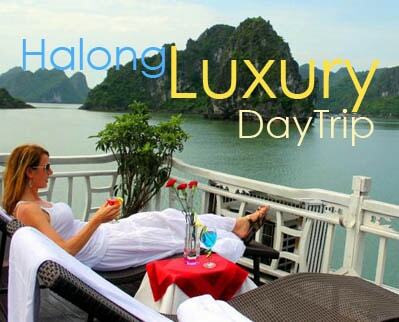 This will definitely be one of the unforgettable experiences in the journey of exploring Nha Trang travel to tourists. Opening daily from 8AM to 5PM with free entrance fee, Long Son Pagoda is getting more and more attraction from tourists in Vietnam as well as people abroad. Not only they reach there to worship their god for their wish but they also find a tranquil place to enjoy after such a long time working exhaustingly. It would be a great chance for tourists to discover all of the beauty in Nha Trang in order to make their trip more meaningful and amazing!